Bellevue and Seattle are neighbors, just a few miles apart and separated by a lake and a few floating bridges. Despite their proximity, the two cities are pretty unique from each other. If you're looking to move to the area or are visiting and aren't sure if you want to stay in the heart of Seattle (there are pros and cons), it helps to know the perks each city has over the other. Overall, Seattle is where you’ll head for any big city experiences, from events and concerts to high-end meals; Bellevue is close to the action without being at its center. You’ll find things like free parking there, too (good luck finding that in most of Seattle’s center). But, really, it comes down to what you’re looking for as Bellevue and Seattle both are great cities, overall. Seattle and Bellevue are located on opposite shores of Lake Washington—Seattle to the west (sandwiched between Lake Washington and the Puget Sound) and Bellevue to the east (situated between Lake Washington and Lake Sammamish). Bellevue is often referred to as the Eastside. Both cities are close to the water, but Bellevue’s shorelines are lakeside and recreational only, whereas Seattle fronts the Puget Sound and has a major West Coast port. Both cities were founded in the late 1800s—Seattle in 1851 and Bellevue in 1869. Bellevue remained pretty rural until the first floating bridge was built in the 1940s, and while it's far from rural these days, it's still a bit more relaxed than Seattle. A second floating bridge was added in 1963 and the city began to boom. Today, Seattle has about 660,000 residents to Bellevue’s approximately 120,000. With big city appeal, Seattle has more events and attractions to offer than Bellevue, from tourist heavy hitters like the Space Needle to local favorites like Volunteer Park. Seattle is Western Washington’s cultural hub, with theaters and museums galore, including the Paramount and 5th Avenue, Seattle Art Museum, as well as plenty of smaller venues, like ACT Theater. Seattle gets many major headliners, concerts, and touring plays and musicals, but has a thriving local music scene, as well. It’s home to many of Western Washington’s largest events, like Seafair, Seattle International Film Festival, Bite of Seattle, Seattle Pride, and Bumbershoot. Also, Seattle is the place to go for major sports events, as the Sounders and Seahawks play at CenturyLink Field, the Mariners at Safeco Field, and the Seattle Storm at KeyArena. If what you seek is solely based on being near action, Seattle is it. For visitors, neighborhoods close to or in downtown are the best for avoiding traffic and having fun. For residents, stay outside of downtown to avoid the high cost of living. Granted, if you're moving to Seattle, the cost of rent or buying a home is not low anywhere. Bellevue is a bit quieter, but has things to do. Visit the Bellevue Botanical Gardens or Bellevue Arts Museum. Especially for families, Bellevue can be a great choice as there are many great parks and playgrounds, such as Crossroads Park Water Playground. Bellevue has a few festivals, including an annual Strawberry Festival and Bellevue Sculpture Exhibition in Downtown Park. 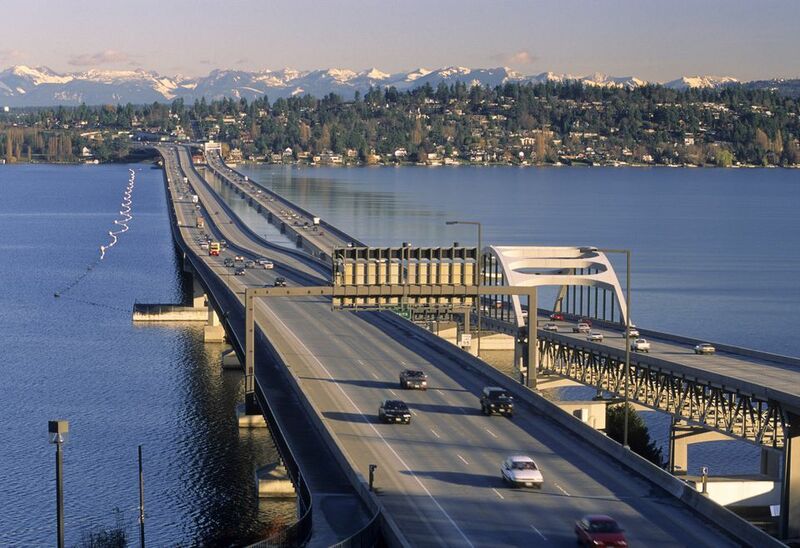 The biggest perk of living or staying in Bellevue is that all it takes to get to all the attractions and activities in Seattle is a trip across a bridge (although, it's an easier trip if it's not rush hour). Both cities have amazing parks that offer everything from playgrounds to seashore to forest hikes. Both cities are a short drive from mountains, forests, national parks, and ocean beaches (if urban nature is not enough). Easily drive from either city to Issaquah for hikes, Mount Si for a challenging hike, and Woodinville for walks or bike rides in the country (and plenty of wineries). Within Seattle’s city limits, you can explore a number of stellar green spaces and parks. Walk or jog on the paved trails at Green Lake. Explore wooded trails and beaches at Discovery Park. Spend some time at the glasshouse in Volunteer Park, or relax in the grass, or go to the Seattle Asian Art Museum located within the park’s boundaries. Or enjoy the beautiful views from Gas Works Park. There are tons of parks in Seattle! Bellevue also has no shortage of parks. Right in the heart of downtown is Downtown Park, a beautiful green space that makes a nice place for a picnic. Crossroads Park’s water playground and Bellevue Botanical Gardens are both free and excellent for families. Meydenbauer Beach Park is another place families can find a bit of everything—a playground, a small grassy area, and also a small beach perfect for kids. Explore the city’s parks and you’re sure to find one that suits what you’re looking for. Both Seattle and Bellevue have school districts with the usual run of elementary, middle/junior high and high schools, but what sets the two cities apart is access to higher education. Seattle definitely seeks out an edge in this department, as expected from a much larger city. However, both cities do have opportunities for higher ed. Seattle is, of course, home to the largest university in Washington—University of Washington—as well as several smaller schools, including Seattle University, Seattle Pacific University and The Art Institute of Seattle. There’s a selection of several community colleges, too. Bellevue’s largest school is Bellevue College, which offers two and four year degrees. City University of Seattle is also technically in Bellevue. While Seattle has a great deal of the area’s jobs, Bellevue’s employment scene is nothing to sniff at. Seattle is home to Amazon, Starbucks, Nordstrom, Seattle’s Best Coffee, and Tullys, but Bellevue has Costco’s headquarters as well as Paccar, T-Mobile, Expedia and it’s not very far at all from Redmond. Redmond is the location of Microsoft, Nintendo, and Valve Corp. Both cities are hubs of transplants moving to the region for their work. If you're moving to the area to look for a job, either city works well as you can commute to several Fortune 500 companies from both Seattle and Bellevue, and there is a range of smaller companies in the area. It’s tough for Seattle to hold a candle to Bellevue’s parking situation, mainly because most parking in Seattle is paid and has time limits, while most parking in Bellevue is free. Parking is easier to find in Bellevue. However, it’s difficult to find parking in Seattle. There is a plethora of parking garages downtown, making parking available at all times, but it is costly. Parking on evenings and weekends (especially Sundays) is much cheaper. There’s free parking around Pike Place Market...if you can find one of the coveted spots. Neither Bellevue nor Seattle are cheap places to rent or buy a home. The median Seattle home price in 2018 was $779,250, but the median home price in Bellevue is $906,500 (it’s known for its slightly upscale feel). While neither city is known for cheap real estate, both have many free things to do and more affordable neighborhoods (but do check the crime rates before choosing cheaper housing). Overall, Bellevue is known as a more upscale city, while Seattle’s neighborhoods run the gamut from sketchy to very ritzy.